I arrived in London last week. It all happened very quickly: my job in Germany was so great and I loved everyone I was working with. But I still felt a hole in my life- by way of being people my age who were able to speak as fast as they pleased and still have me understand them. This isn’t to say that I understand all British people. It’s a sure sign that I have become disconnected with my own roots when I can no longer effectively eavesdrop on people’s lives on the tube and in the grocery store. I’ll find myself bewildered at the very idea of their accent and struggle to make out their words. I was very disappointed in myself at the realization of this. Anyway there I was in my office in Frankfurt, and there was the email notification of an apartment at a good price with good people- and within a couple of days I was packed and ready to go. My apartment- my flat– is apparently spacious by London standards. The kitchen is the smaller than my German bathroom. The bathroom is the size of my German closet. But my room is a good size, and surprisingly enough I have a garden and lots of privacy. The wallpaper- yes WALLPAPER- is old and dingy though, and my lovely mother got to work straight away remaking the curtains. 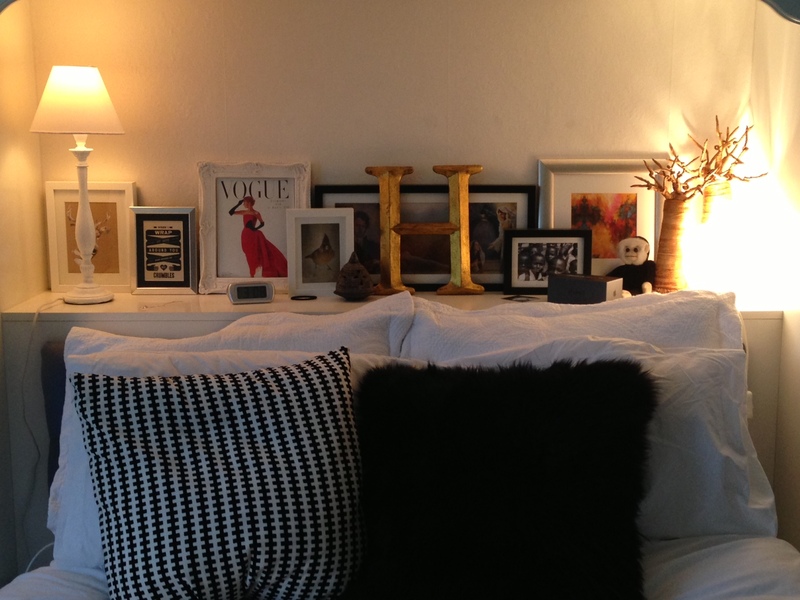 When we were done with the space it seemed homey enough, and surprisingly, there was room for all of my clothes! Being in London feels like a natural fit for me. I’m in love with the fastness of it all, the hustle and bustle, and the storm of culture and colour. I love the feeling of the city being at my disposal. There’s never going to be a shortage of things to do on a rainy day- and seeing as most days here are rainy, this excites me. 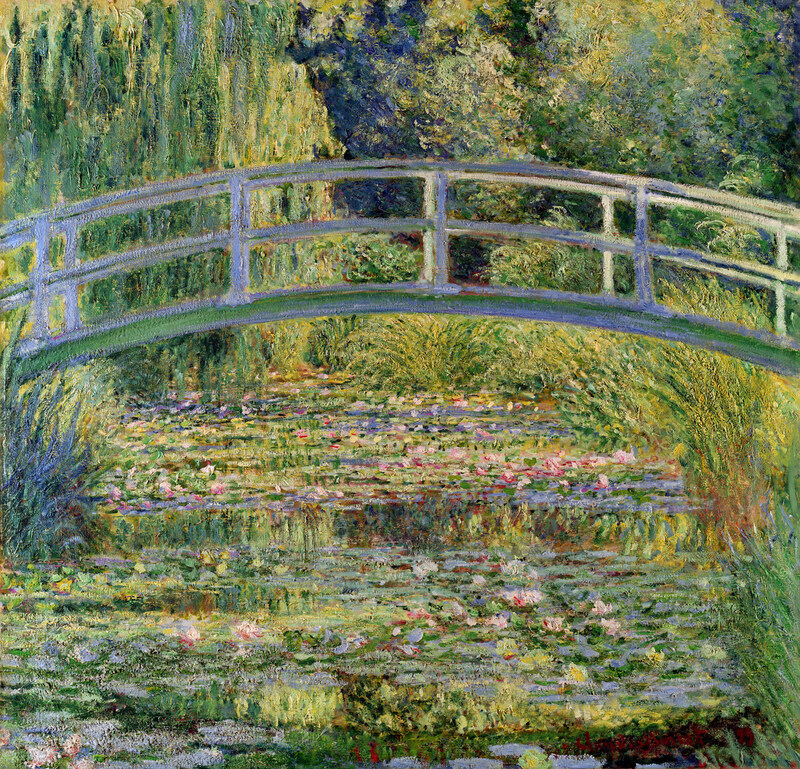 I was in the National Gallery the other day and before I knew it I was face to face with my favourite Monet. It sort of crept up on me and before I knew it I was actually crying. I wasn’t even embarrassed, it was so beautiful. It felt as though I was in the right place- which is a feeling that, when you hop around as much as I do, was so perfect. I’m pretty out of my element- I’m lost 68% of the time, nervous about finding a job as good as my last one, missing my american home, and so anxious about the next couple of years of my life. But things are right, and I feel right. Job hunting is awful, by the way. It’s one of those times in your life that you’re tempted to question everything, and doubt your own capabilities. I know I have exceptional references, qualifications and experience. So why do I feel so vulnerable? Probably because the workforce is suddenly so unpredictable. The other day I had an interview in a GARAGE. I’m not joking. And the job wasn’t a mechanically involved role- it was a PR firm that was being run out of a GARAGE. And instead of office chairs? Yoga balls. I AM NOT MAKING THIS UP. That day I learned that it was OK for the interviewee to be the one to pass on the interviewer. So other than hoping the job front end of things pick up soon, things are pretty good here.